This city of skyscrapers is famous for its blues scene, baseball teams, Lake Michigan – and of course the legendary Chicago hot dog. 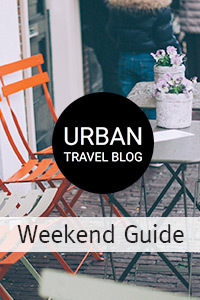 Pola Henderson of Jetting Around advises us on how to spend a day off in the metropolis. The Windy City is neither as big nor glamorous as New York and it doesn’t have the Hollywood appeal of Los Angeles. Yet millions flock to Chicago every year to admire its original architecture (steel skyscrapers were pioneered here), and to visit its numerous cultural institutions and historical sites. There are over 7,000 restaurants and nearly 2000 bars to visit by night, and on sunny days visitors can take advantage of 26 miles of lakefront, complete with bike paths and bathing beaches. 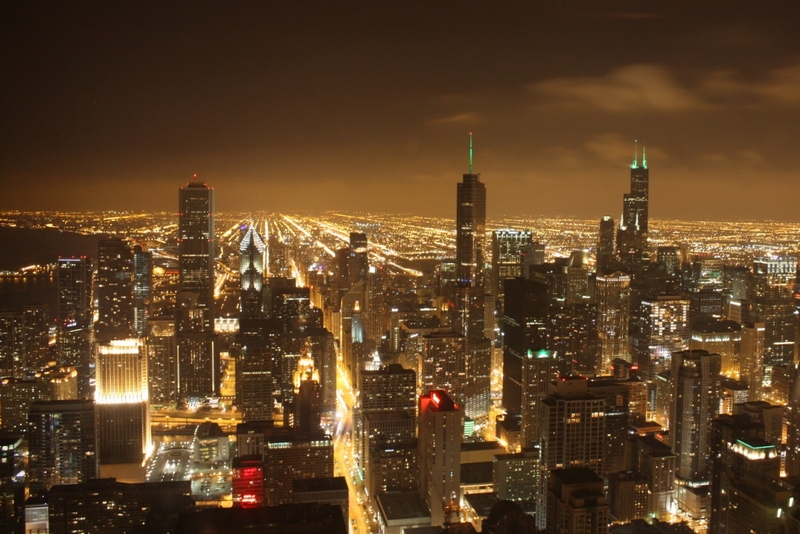 Chicago is often referred to as “the city of neighborhoods”. On the one hand, it’s a busy, diverse metropolis (population of 2.7 million), on the other, a place where you can feel a part of a community. Block parties, neighborhood spots, walkable shopping “main streets” all contribute to a local atmosphere. Sport traditions and passions are very strong in the city – even if Chicagoans are used to not seeing their teams win very often. 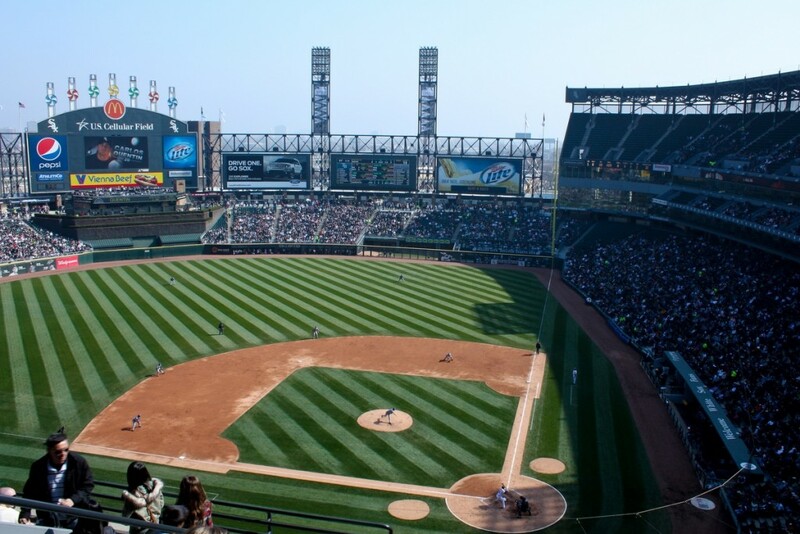 Baseball fans are divided into those that root for the Cubs or the White Sox (the annual Crosstown Classic draws big crowds to the ballparks), but the city’s NFL fans unite to cheer on “Da Bears” and it might be worth brushing up on their star players if you want to make friends. Since its incorporation as a city in 1837, Chicago has had to overcome a lot of difficulties – the Great Fire of 1871, gangster wars during the Prohibition era, and political corruption – but it has always rebuilt itself and continues to innovate and grow, which is what has made it the US’s third biggest city. The Willis Tower (commonly referred to by its former name, the Sears Tower) is the tallest skyscraper in the United States and offers 360-degree views of Chicago from the 103rd floor Skydeck. A recent addition, the Ledge – all-glass balconies extending four feet out – allows visitors to look down to the street 1,353 feet (412 m) below. Another place for city views is the Observatory on the 94th floor of the John Hancock Center, featuring an open-air skywalk and a cafe. For drinks and the view, go two floors up to the Signature Lounge (no cover charge). Steps from the Hancock is the Water Tower, noted as one of the few buildings that survived the Great Chicago Fire. Across the street, the Water Tower Water Works building houses the Lookingglass Theatre, recipient of the 2011 Regional Tony Award. The Art Institute of Chicago Museum in Grant Park is the second largest fine art museum in the country. It has one of the world’s largest Impressionist and Post-Impressionist collections, including over 30 paintings by Claude Monet. The American collection features Edward Hopper’s Nighthawks, one of the best-known American paintings. The neighboring 24.5-acre Millennium Park replaced an area previously occupied by rail tracks and parking lots. Featuring unusual architecture and public art, an outdoor cafe (or skating rink in winter) and botanical gardens, it’s a great place to spend a relaxing afternoon. 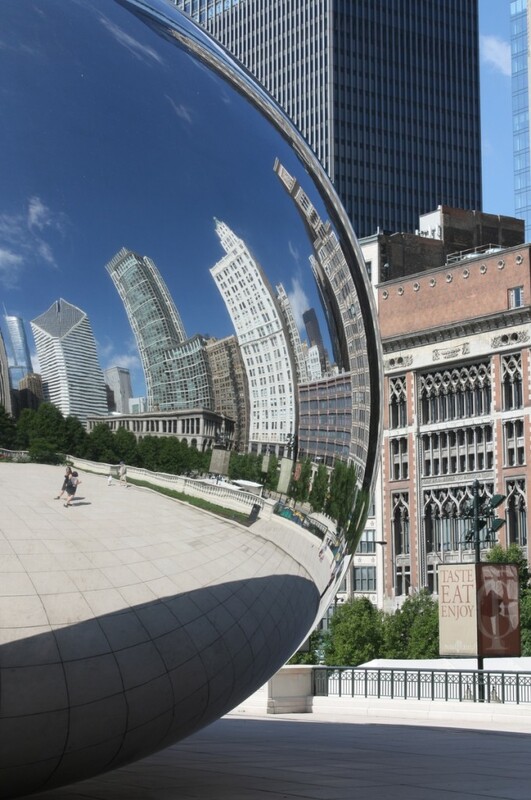 Check out the mirror-surfaced Cloud Gate (known as “the Bean”), the Crown Fountain, which projects video images, and the Jay Pritzker Pavilion, an outdoor concert venue hosting free events in the summer. To learn about Chicago’s architecture, take a tour with the Chicago Architecture Foundation (their Michigan Ave. store is a good alternative to run-of-the-mill souvenir shops). The 90-min river cruise is well-worth booking. Wicker Park and Bucktown are two adjoining neighborhoods where artsy and alternative spots are found alongside more trendy places. Many local businesses line Milwaukee, Damen and Ashland avenues, including book shops (Myopic Books is one of the city’s oldest used book sellers and stays open late) and record stores (Dusty Groove carries a large jazz selection). Logan Square north of Bucktown has several independent coffee shops, such as Cafe Mustache and the hip New Wave Coffee. Wolfbait & B-girls is a boutique showcasing work of local designers and artisans (and a place where you can find unique Chicago souvenirs, including T-shirts and button pins). Farther north west in Portage Park is the Portage Theater, one of the oldest movie venues in the city. Events hosted there include the Chicago Silent Film Festival and parts of the Chicago Polish Film Festival. 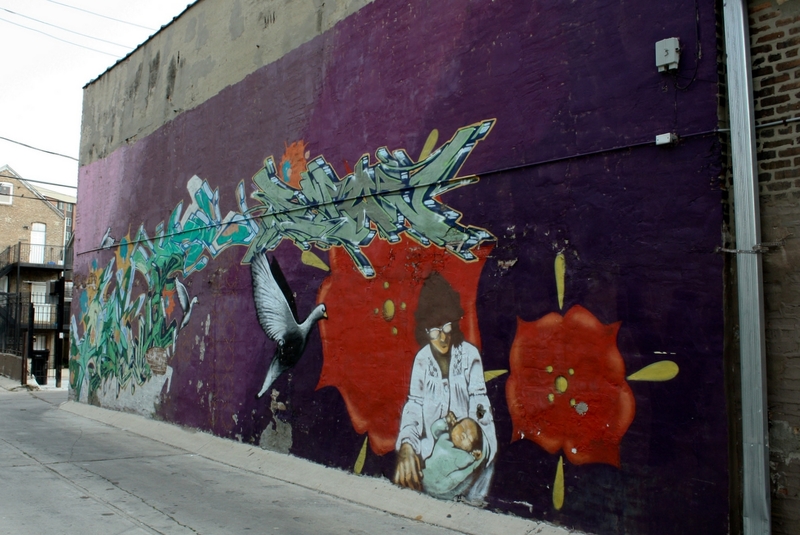 Pilsen on the south side is a largely Mexican neighborhood that in recent years has seen an influx of artists (events include the 2nd Fridays Gallery Night). Check out the National Museum of Mexican Art and intricate murals throughout the neighborhood, many of which are around 16th and Carpenter streets. 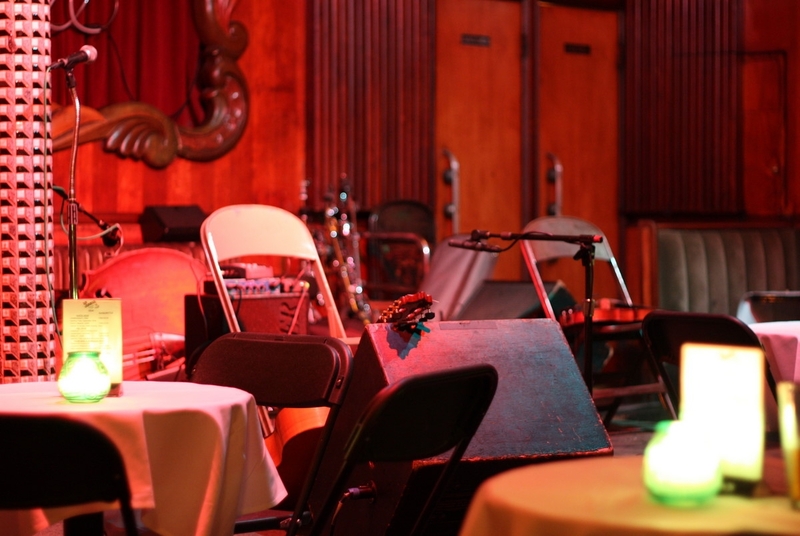 Chicago is renowned for its blues traditions, and there is no shortage of clubs to visit. You can catch a live set at Buddy Guy’s Legends in South Loop (Buddy Guy being one of the pioneers of the city’s blues scene) or the intimate B.L.U.E.S. In Lincoln Park, featuring mostly local artists. Rosa’s Lounge on the northwest side offers both traditional and modern sounds. There is also a large jazz scene, with venues scattered around town. The Green Mill, a former Al Capone hangout, has shows 7 days a week and also runs a weekly Poetry Slam. The city has a highly-regarded theatre scene and a large variety of performance venues. In addition to large-scale productions in the downtown Theatre District, a number of smaller places around the city stage both classic and new, often innovative, plays. Examples include The Gift Theatre in Jefferson Park, A Red Orchid Theatre in Old Town (both operating out of cosy storefront spaces) and Chopin Theatrein Wicker Park, which features American and European productions. A great way to experience the city’s diversity is through street festivals – as many as several hundred take place in the summer and fall, showcasing a variety of ethnic cuisines, local music acts and artists. Following its completion in 2009, the Trump Tower Chicago became the second tallest skyscraper in the city. The hotel’s Michelin-rated restaurant, Sixteen (named for its location on the 16th floor), and adjoining terrace offer some of the best views of the city. The elegant Palmer House downtown dates back to 1871 and features a two-story lobby with an intricate ceiling mural. Afternoon Tea is served daily and the Lobby Bar stays open until midnight or later. 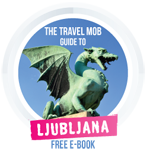 (Rates vary by date: $99-$349/night). Raffaello is a modern boutique hotel located off of Michigan Avenue, near the John Hancock Center. Among the amenities: a rooftop terrace and a spa with the option of in-room treatments. (From $135/night). Longman & Eagle’s six minimalist guest rooms in Logan Square occupy the second floor of the namesake bar/restaurant. An affordable alternative to downtown accommodation. (From $75/night). Chicago’s restaurant scene reflects the city’s diverse population. Mexican fare is available throughout the city, with some of the best in the Pilsen area on the near south side (Nuevo Leon Restaurant is popular with local families) and on the northwest side. Sol De Mexico in Belmont-Cragin is worth the hike for their truly authentic dishes and a well-stacked tequila bar, and the casual Cemitas Puebla in Humboldt Park – for their Poblano-style sandwiches. The northwest side is also home to numerous Polish restaurants. Red Apple in Avondale and Norwood Park has a budget-friendly buffet 7 days a week. For Indian and Pakistani food, check out the Devon & Western area on the far north side, and for Asian – Chinatown on the near south side and Korean Town on the far north side. 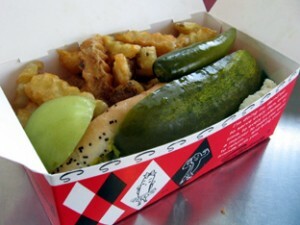 To try traditional Chicago-style hot dogs, head to Hot Doug’s in Avondale and Superdawg Drive-In on the far north side. The long-standing Exchequer Restaurant & Pub in the Loop is a cozy spot to try Chicago’s deep dish pizza. Chicago’s nightlife scene is varied and ranges from dive-bars, bohemian places and casual neighborhood hangouts to upscale lounges and hip clubs. There are several areas with a high concentration of spots. Downtown and its vicinity has a number of party options, including bars overlooking the city. Vertigo Sky Lounge is an elegant space with a glass-enclosed terrace. Rush & Division Streets used to be a singles bar zone and nowadays largely attracts visitors and those who favour college-like parties. In Wicker Park, Piece makes small batches of micro brews (and pizza). At Double-Door, you can see live shows, ranging from indie rock and punk to hip hop and metal. Lemming’s in Bucktown is a neighborhood tavern, frequented by a mostly 30+ crowd. Further up Milwaukee Avenue, in Logan Square, you will find Revolution Brewing, serving their own craft beer, and the recently-opened Telegraph Wine Bar, focused on specialty wines. Whistler is a laid-back cocktail bar with a back patio, live music (they have their own record label) and an art gallery. Clark St. in Wrigleyville is a popular area for post-collegiate crowds and Cubs fans (to watch the White Sox play, take the Red Line to Bridgeport on the south side). With two major airports, O’Hare and Midway, and secondary ones in Gary, Indiana and Rockford, Illinois, Chicago is easily accessible by air and serviced by numerous major domestic and international airlines. CTA train service (“the El” – short for “elevated”) connects the two city airports with downtown (“the Loop”). Transport takes about 40 min. from O’Hare on the 24-hr Blue Line and 30 min. from Midway on the Orange Line ($2.25 for a single-ride ticket). Taxi service downtown from O’Hare is approximately $40, and $30 from Midway. The same trains, along with 2000 city buses will help you navigate your way around town, or – provided your visit is polar vortex free – you could buy a 24 hour pass for Chicago’s sky blue Divvy bike share scheme. Car hire is another option of course and if we only learnt one thing from Ferris Bueller’s Day Off it’s that car park attendants in Chicago are highly trustworthy). Explore Chicago is the official city tourism site, featuring an overview of the neighbourhoods, event finder, trip planner, and other practical information. Centerstage and Metromix feature event listings, restaurant and bar reviews, and daily deals. For more alternative listings, check out the Chicago Reader. Some specialized online resources include Theatre in Chicago and Chicago Blues Guide. LTHForum is a community of Chicagoland foodies who participate in a culinary chat and publish an annual list of Great Neighborhood Restaurants. Frommer’s guide books, Chicago Magazine and Time Out Chicago are worth picking up. The Devil in the White City is a book based on real characters and events associated with the 1893 Chicago World’s Fair. Upton Sinclair’s powerful novel The Jungle portrays Chicago immigrant life, poverty, and corruption in the meat-packing industry at the beginning of the 20th century. Movies about or filmed in Chicago include the cult musical comedy Blues Brothers (1980), crime drama Public Enemies (2009) with Johnny Depp portraying the notorious Depression-era bank robber, John Dillinger, and The Dark Knight (2008) of the Batman series, shot primarily in Chicago. TV’s Chicago Code was a crime drama series about a group of Chicago Police officers, filmed on location in multiple neighbourhoods. Of course it would be impossible to mention movies set in Chicago without paying tribute to Ferris Bueller and his Day Off… a whirlwind tour of the city in the company of one of film’s most loved characters. This article is super helpful! Thank you a million! Some great commentary on my city. You have done your readers a great justice by providing this. Ive started a travel series centered around the City of Chicago that may interest you. Take a look when you get a chance! https://www.youtube.com/watch?v=9R8S5r5Tj4k. Great article! I just moved to Chicago IL in a new D.R. Horton community and I feel like I have just been living under a rock and am so excited to check everything out here! Thanks for the post, Thanks Tami for suggesting it!